Dab some superglue onto the toothpick, and place it into the hole of the half-drilled pearl. Using the other end of the toothpick, place a rubber stopper onto it (angled end in first). To push in the rubber stopper, hold the top of the pearl and push the bottom of the pearl onto a table. This will sandwich the stopper between the pearl and the table. 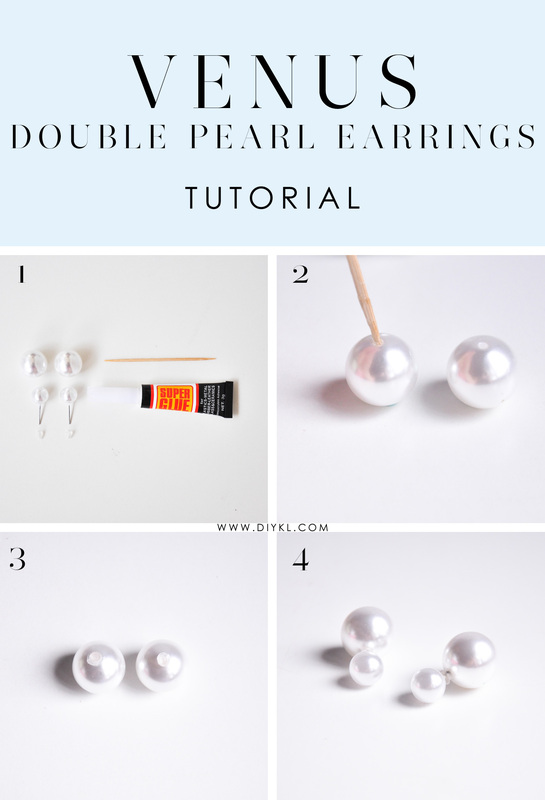 Once the stopper is 3/4 inside the pearl, let it dry for a few good hours, and enjoy wearing your VENUS Double Pearl Earrings!